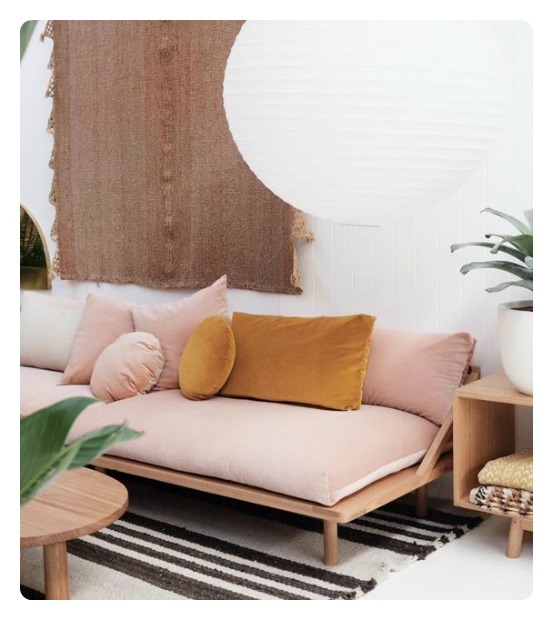 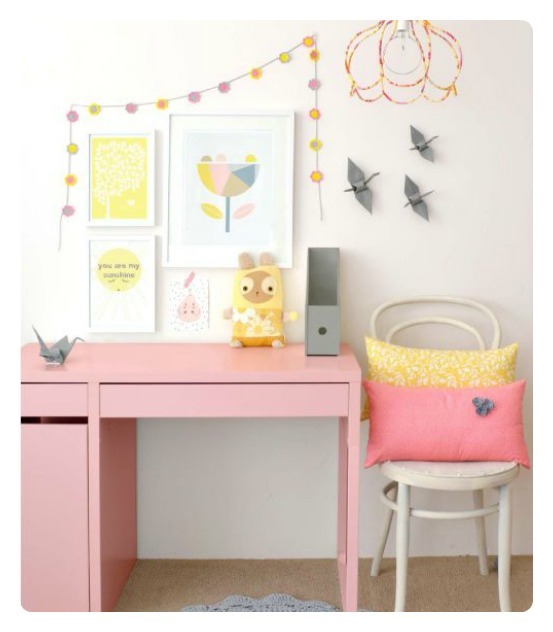 There was one particular image from yesterday’s post that really stood out for me: that lovely kid’s space where yellow and blush pink had been painted in neat, giant swatches with a pause of crisp white in between. 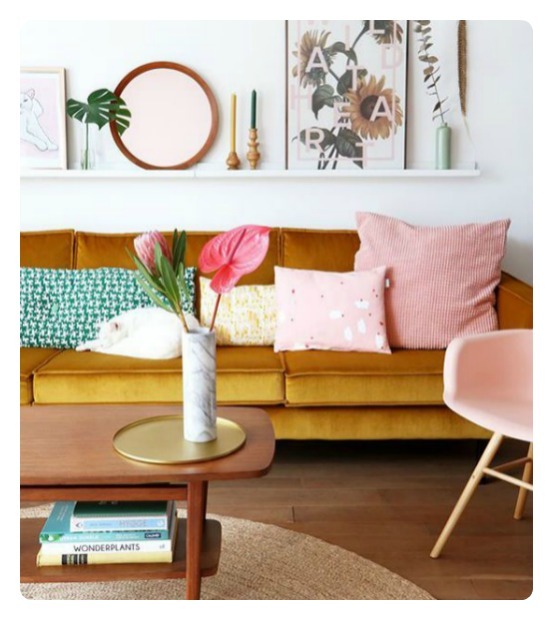 Now I can’t get this brilliant, fresh and modern colour combination off my mind, to the point that I’m planning a mission to get them together in my own home. 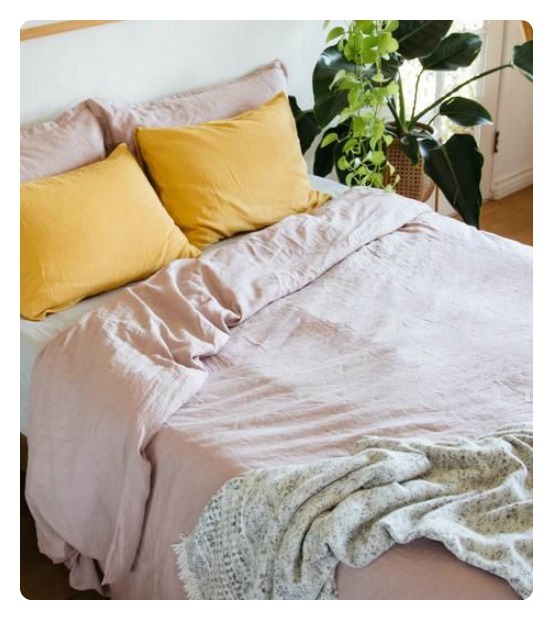 I’m not sure if it’ll be the soft furnishings route or a feature wall with a piece of yellow-painted furniture in front of it, but this is definitely my new favourite colour pairing. 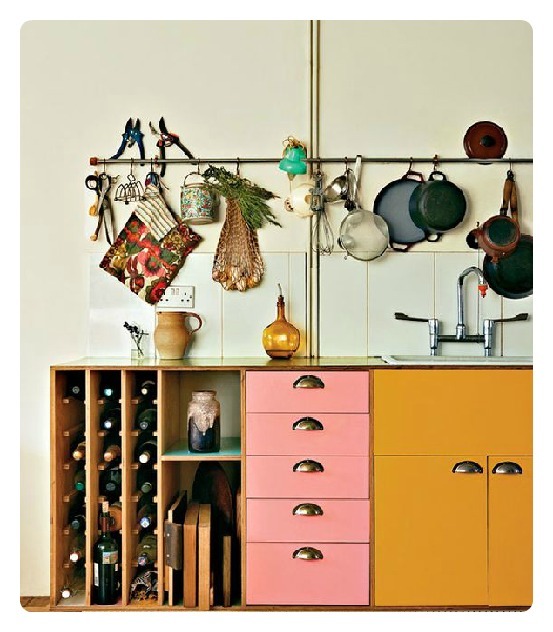 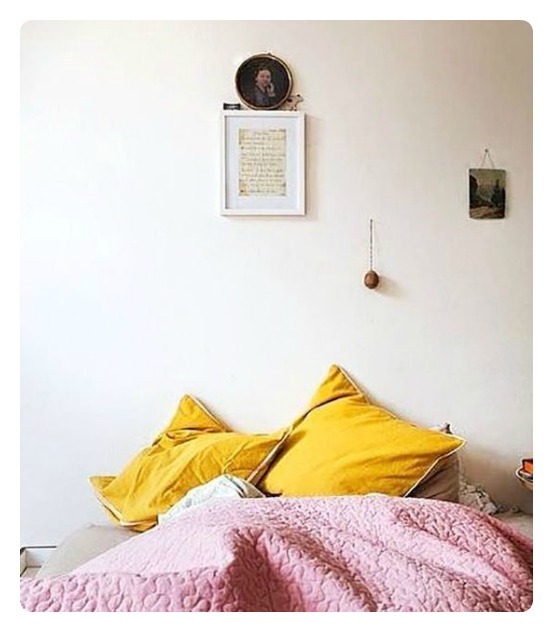 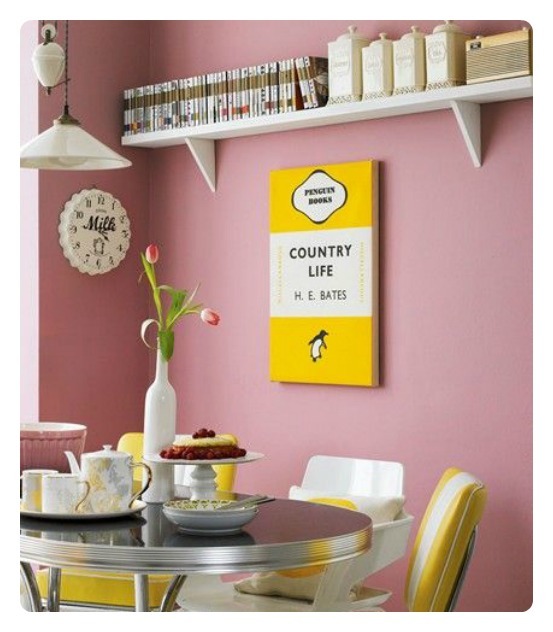 * A more acid tint of yellow also works well with soft shades of pink, but mustard wins in the sophisticated stakes. 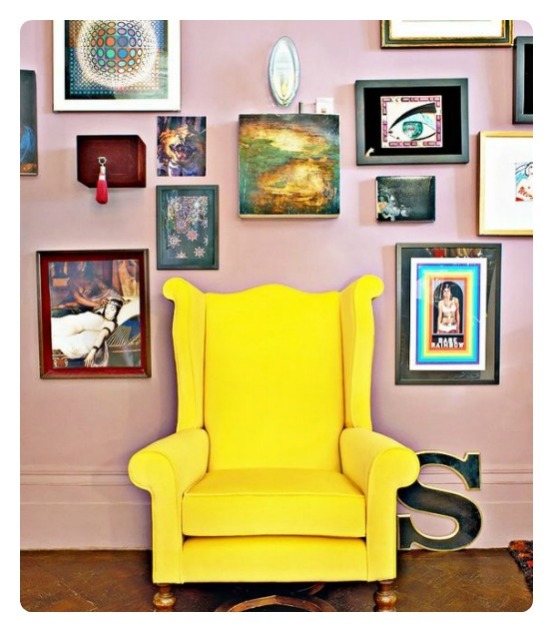 ** Mustard can also extend to that evocative burnished gold hue, especially gorgeous in velvety fabrics. 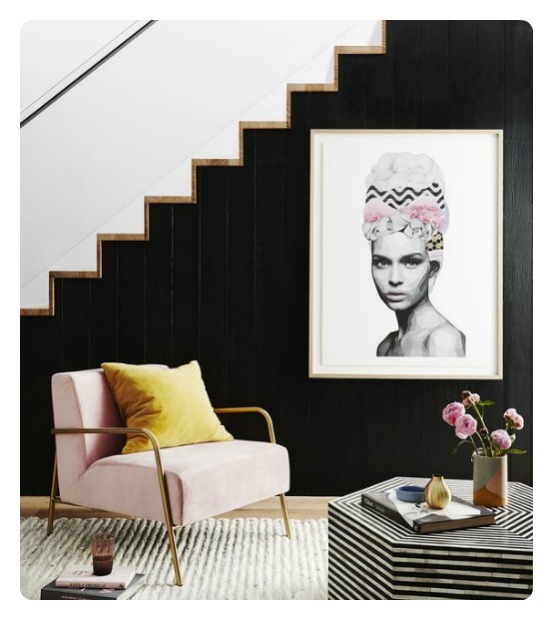 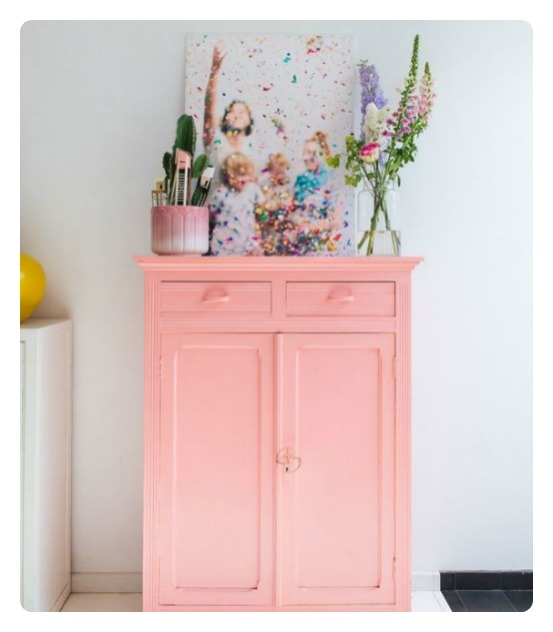 *** Have a third colour to bring contrast to the loved-up duo of pink and mustard: think olive, emerald, sea foam, black, charcoal, grey or white. 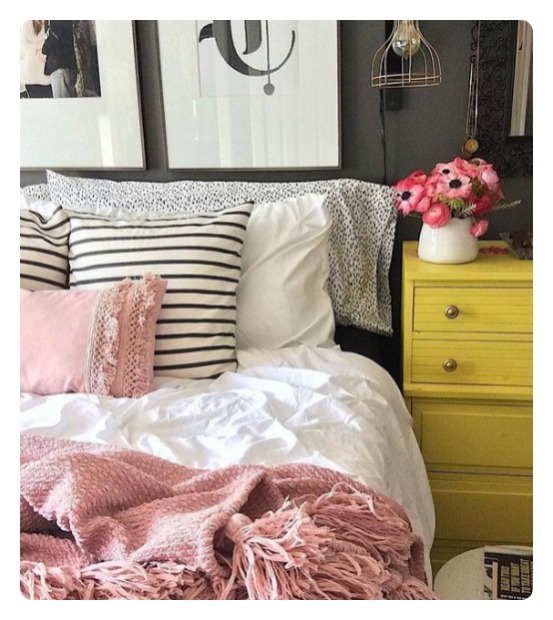 Also, classic nautical stripes in the mix takes it to next-level fabulousness.